Home » Wait to see what we have planned for 2019! Wait to see what we have planned for 2019!  Welcome to the NJ Waterfront Marine Schedule of Events! It is our goal to provide fun, well-planned, and educational events that make your boating experience more enjoyable. Operating your boat should be as “second nature” as driving your car. We have found that the best way to accomplish this is to use your boat frequently and have fun doing so. These events are a great way to learn more about safe and fun boating while making memories that will last a lifetime. When you join any of our many experiences, you will meet some new people & visit new places while broadening your boating horizons. Feel free to bring your family and friends to join as many as you can! After all, isn’t life more enjoyable when you’re at the Waterfront? 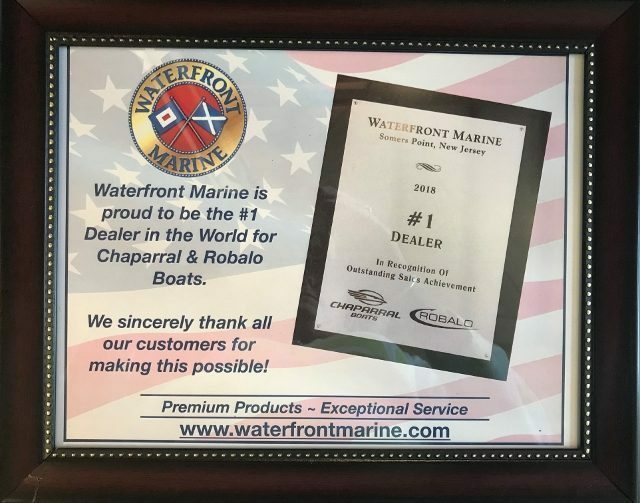 We are proud to be the NJ & MD area’s premier boat dealership! Selling premium products and delivering exceptional service. Boater’s Safety Courses: Held throughout the Spring and Summer – Please call for dates – This is a classroom style course held right in our NJ showroom. You will learn rules of the road, basic navigation, and lots of safety tips. After completing the test at the end of the day, you will receive your required NJ Boating Safety Certificate and be legally able to operate your boat anywhere in New Jersey. This is a state mandated 8-hour course but we provide lunch, snacks, and an entertaining instructor to make it fun. Open House Demo Events: June 7-9 & Aug. 23-25 – Mark the dates on your calendar and come join us for some fun. We will have food, fun for kids, and new boats in the water ready and waiting for a sea trial. This is a great opportunity to come try out the latest and greatest boats in a fun and comfortable setting! Day Trips: July 6th / July 20th / Sept. 7th – Looking to broaden your horizons out on the water? Our day trips are a great way to see new places, learn how to safely navigate, and meet some great new friends! Follow our company boat and spend the afternoon enjoying the local area. These trips are a great reason to gather up the crew and head out on a fun adventure! Maintenance Seminar: April 23rd – Have you ever wondered how something on your boat works? Are you interested in learning more about the inner workings of your boat? Do you want to learn about what to look for to prevent a future issue? Do you want to learn the “tricks of the trade” to keep your boat looking its best and running like new? Our service team leaders are here to give you an overview of all things mechanical and answer any questions you have in this class. Boating For Women: June 21st – This is a course exclusively for the ladies to learn more about operating your boat and how things work. We start in the classroom covering some basic topics such as the rules of the road, buoy navigation, and safety. We then move to the water and give you some “hands on” experience behind the wheel. Let our experienced captains show you everything you need to know to run your boat like a professional. Gain the confidence you need to relax and enjoy your days on the water. Bring your wives, girlfriends or daughters and make a day out of it. Boating For Kids: June 23rd – Interested in having your kids learn about safety on the water at a young age? Kids 8 and up are welcome to come and learn how to have fun while being safe on the water. We’ll show them how to light a flare, how to work a fire extinguisher, and how to handle the dock lines safely. Some “hands on” time on the water will also get them excited to spend time with mom and dad on the water. Sign them up today! 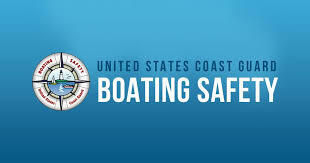 NJ Boater’s Safety Courses ~ 2019!